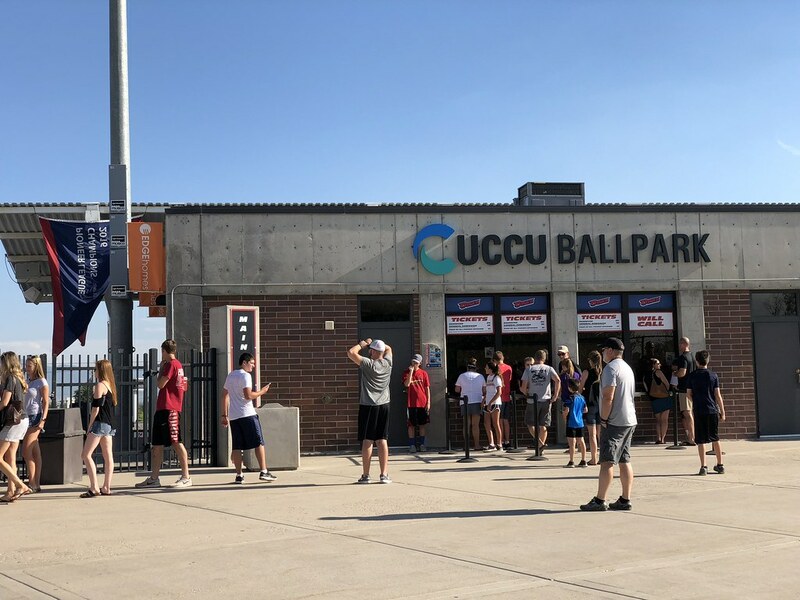 The main entrance and ticket windows at UCCU Ballpark. 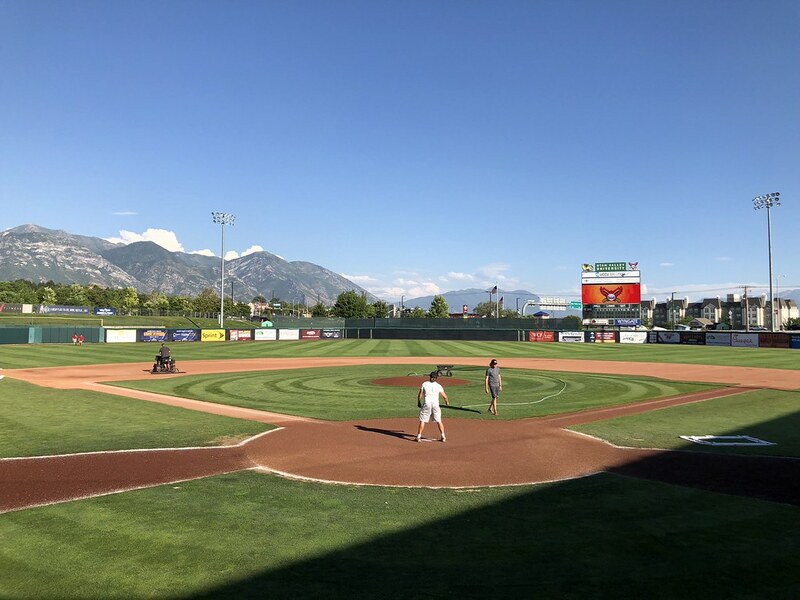 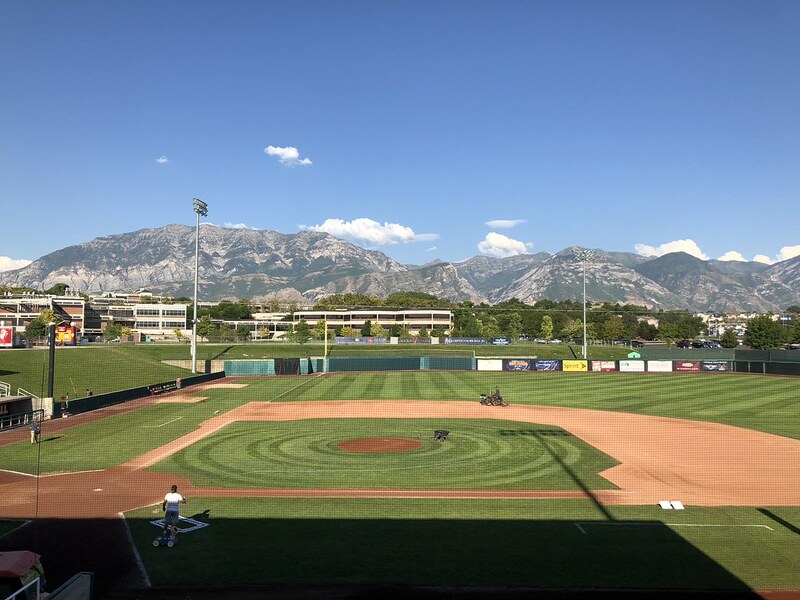 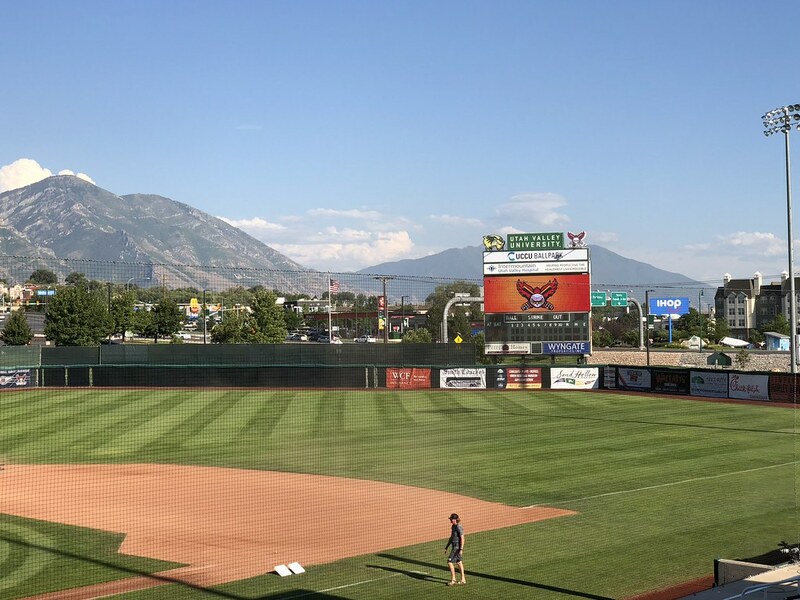 The view from down the first base line, looking out at the Wasatch Mountains. 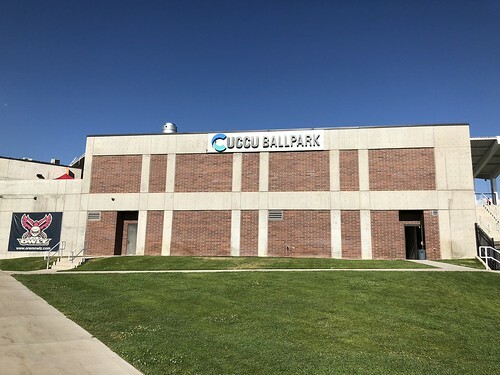 The grandstand at UCCU Ballpark, as seen from the right field corner. 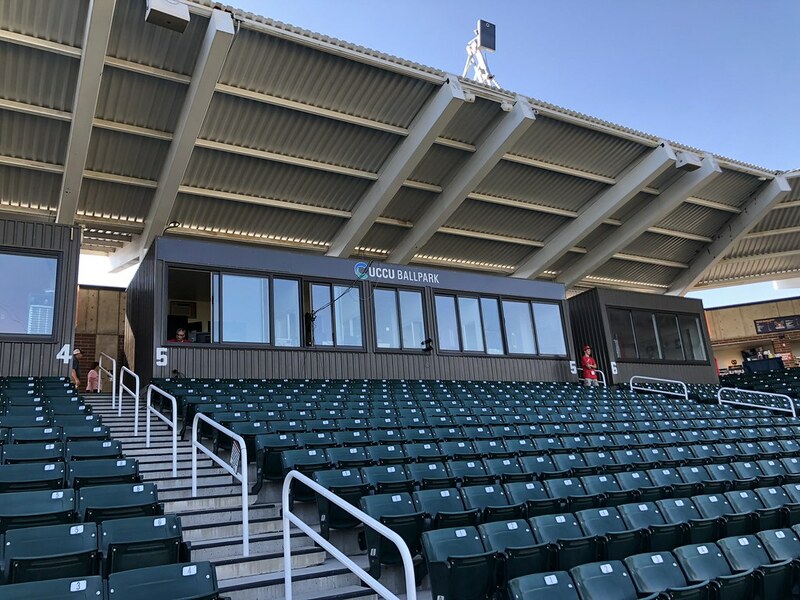 The pressbox sits underneath the roof at the top of the seating bowl with small suites on either side. 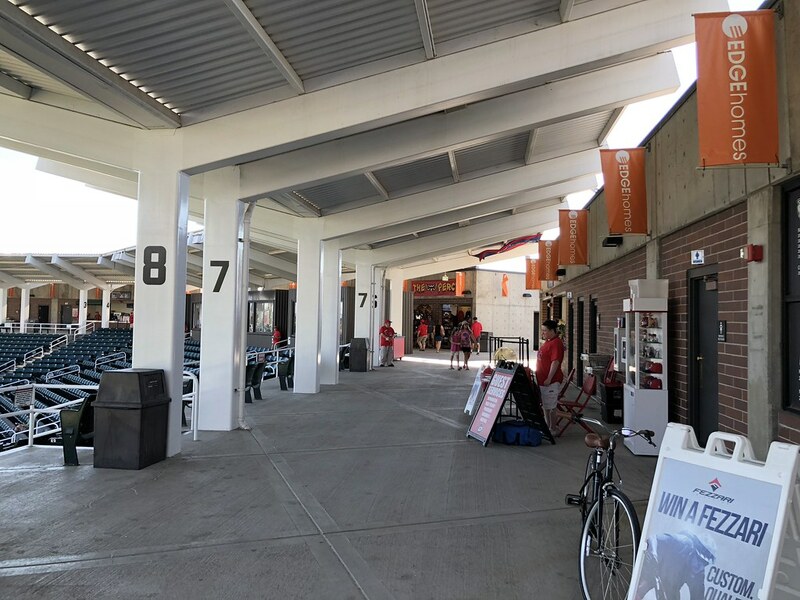 The concourse runs along the top of the seating bowl. 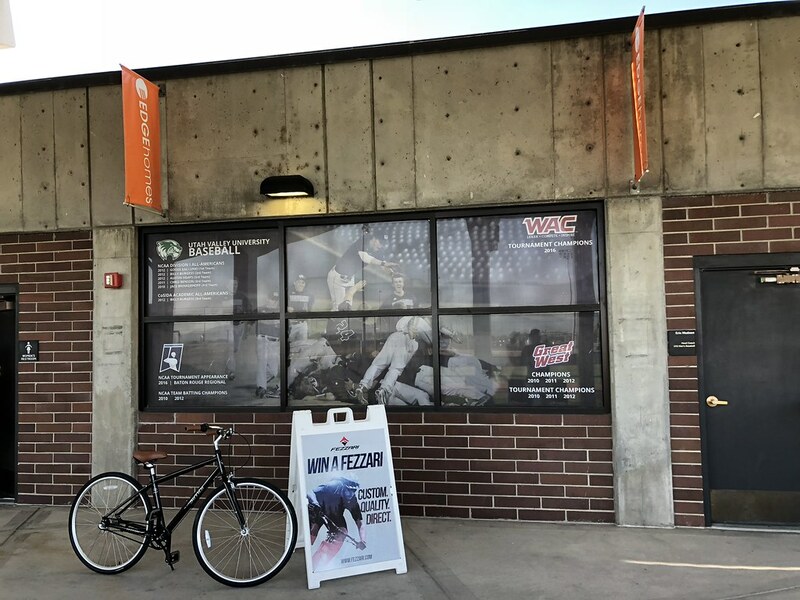 UCCU Ballpark is on the campus of Utah Valley University and a display on the concourse celebrates the achievements of the UVU Wolverines. 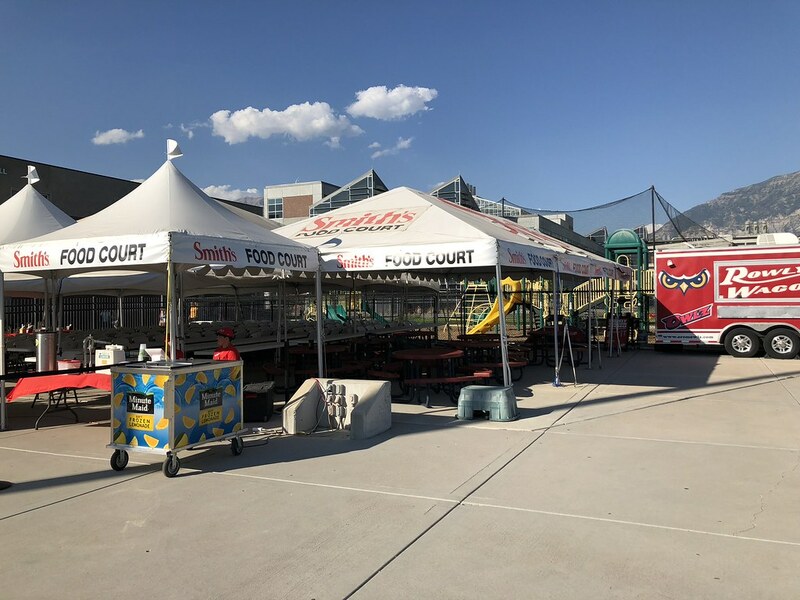 A food court with large group seating tents sits in the left field corner of the ballpark. 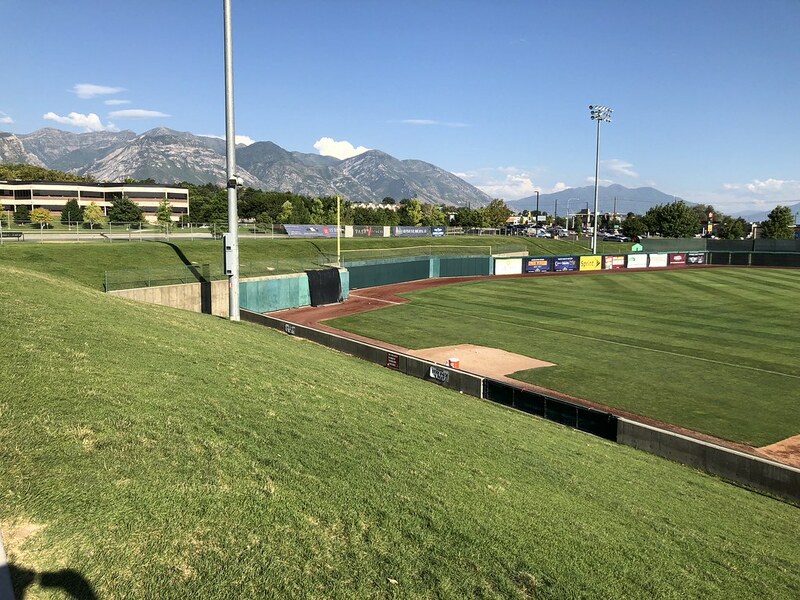 Batting cages sit beside a grass berm in the right field corner. 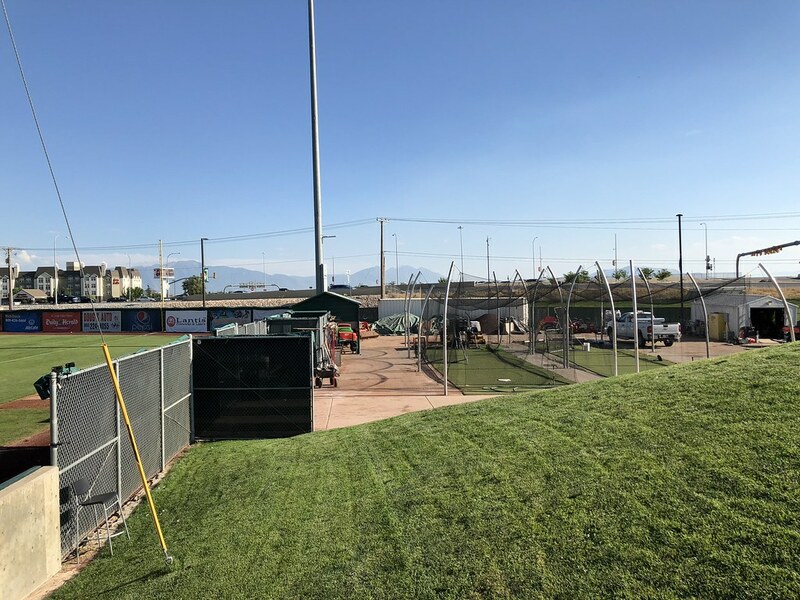 The bullpens at UCCU Ballpark are in play in foul territory down the lines. 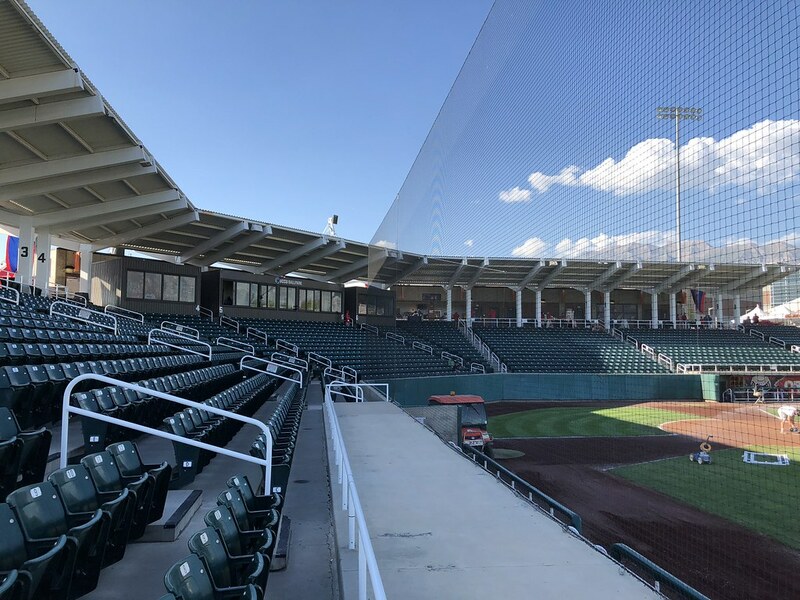 The outfield wall features a deep alcove in the left field corner. 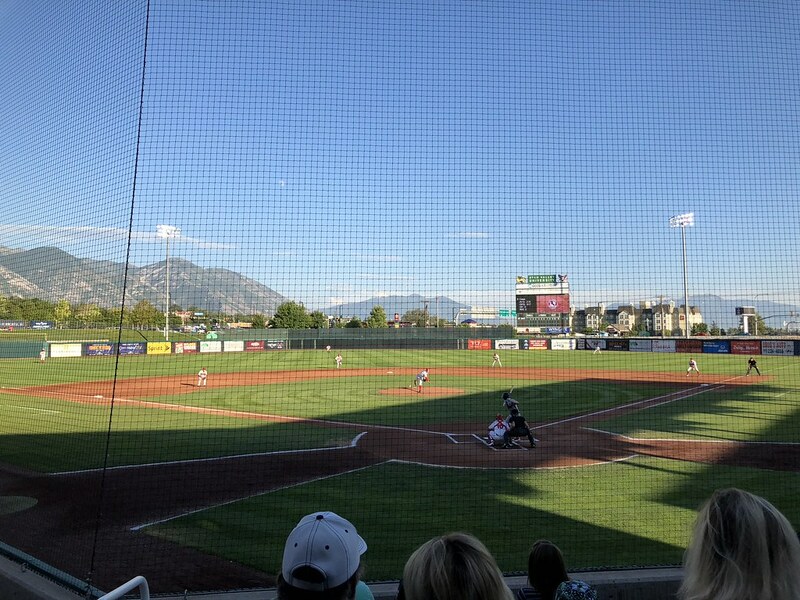 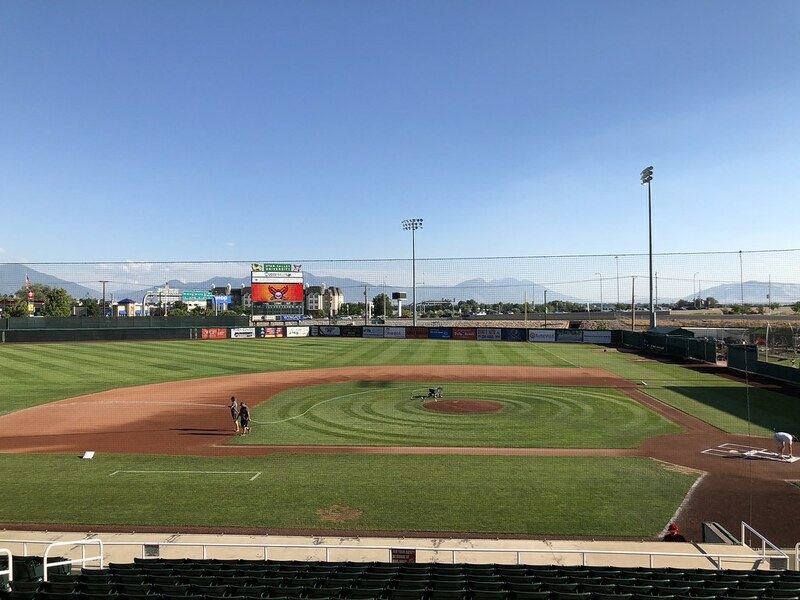 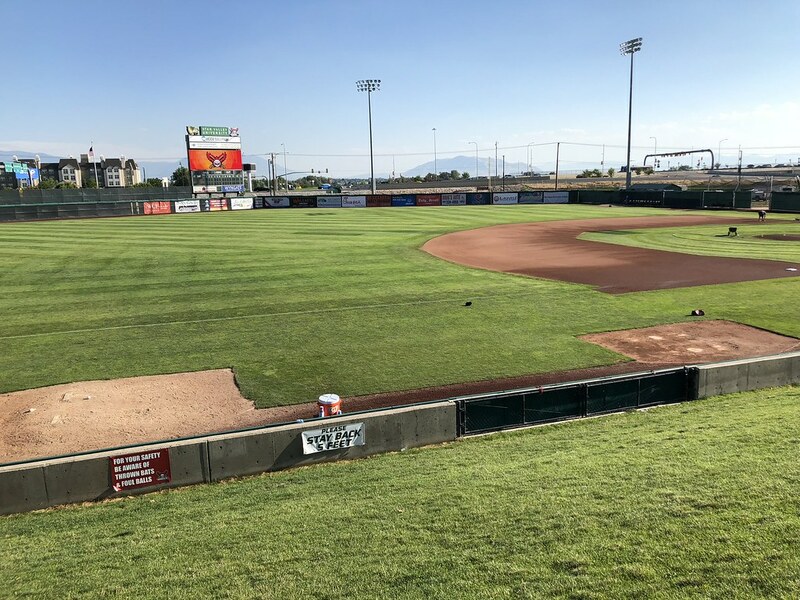 The Orem Owlz on the field during a game at UCCU Ballpark, "The Home of the Owlz."